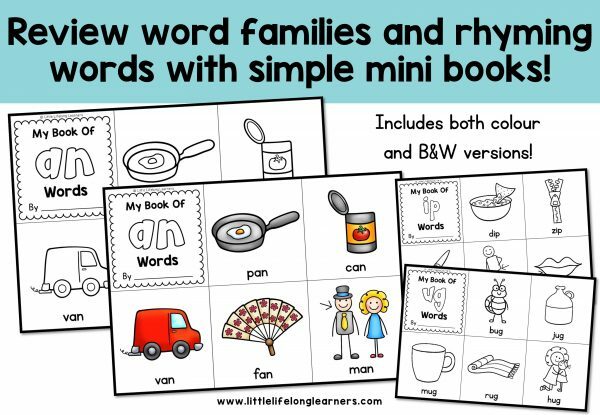 Review word families and rhyming words with these simple mini books! 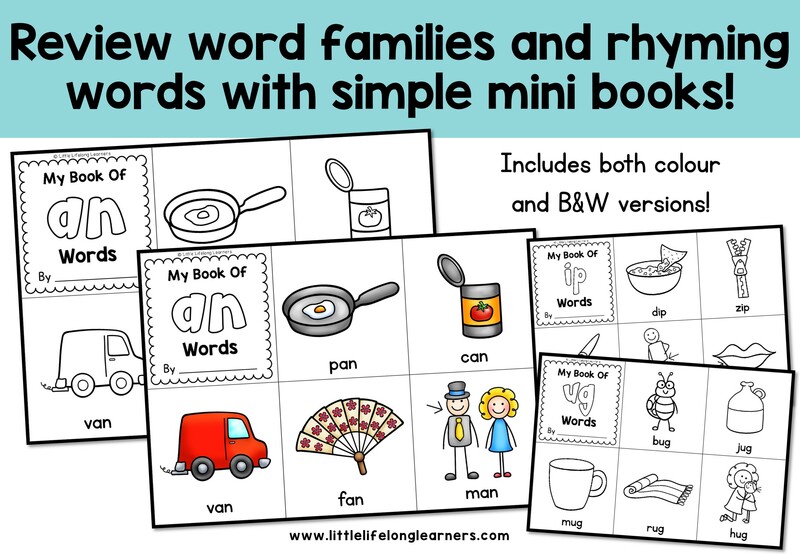 Learn about word families and rhyming words with these mini word family books! Perfect for emergent readers and even struggling readers, your kindergarten and preschool kids will love decoding the simple CVC and CCVC words in these books! 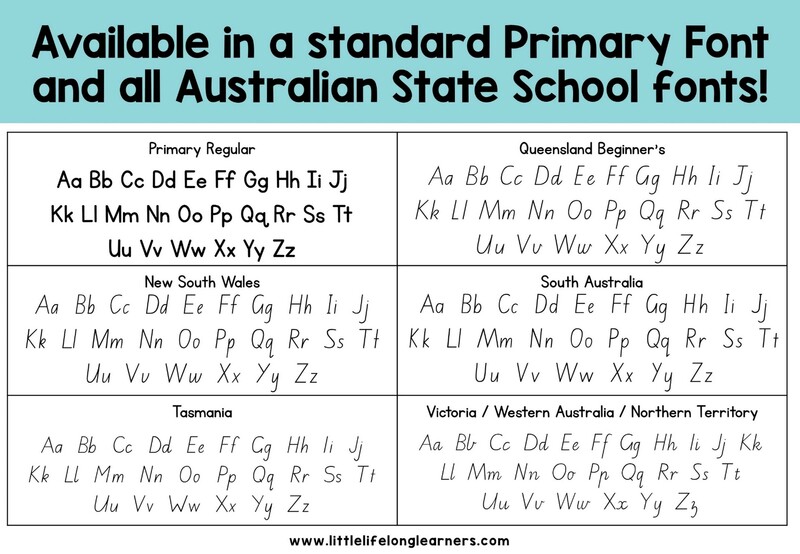 Includes QLD Beginners Font, NSW Foundation Font, VIC Modern Cursive Font, SA Font, TAS Font and a Standard Primary Font suitable for all! 14 mini word family books in B&W and colour! 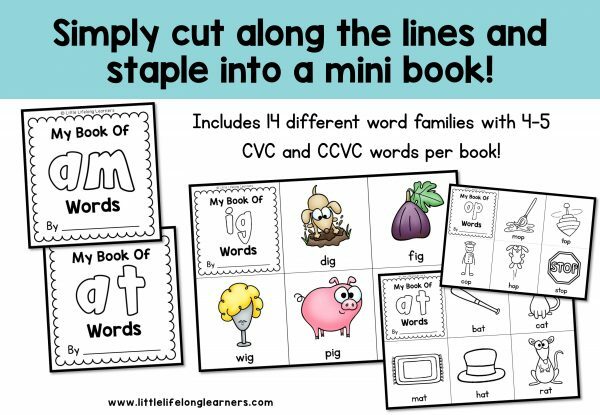 Use these mini books to revisit and review word families that you have already covered or use them to introduce a new word family. 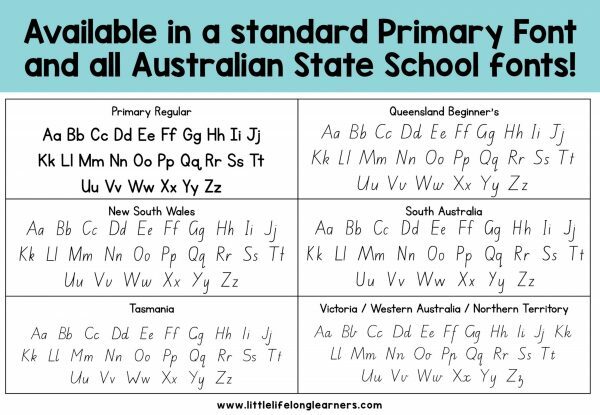 Simply copy the pages required and have students write their name on the cover and then colour, cut and staple the pages together. Add the mini books to your library or send home for your students to review with their parents at home! 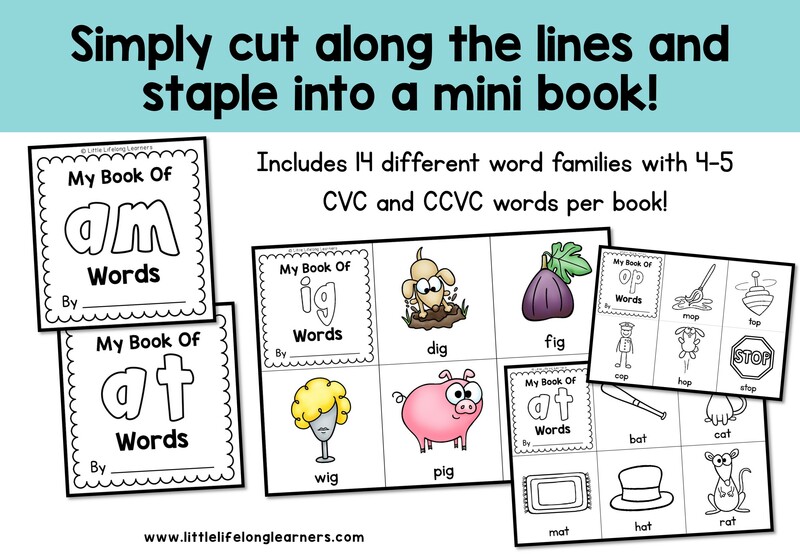 Use these mini books in your literacy centers, reading groups or phonemic awareness lessons! Check out my other word family resources!